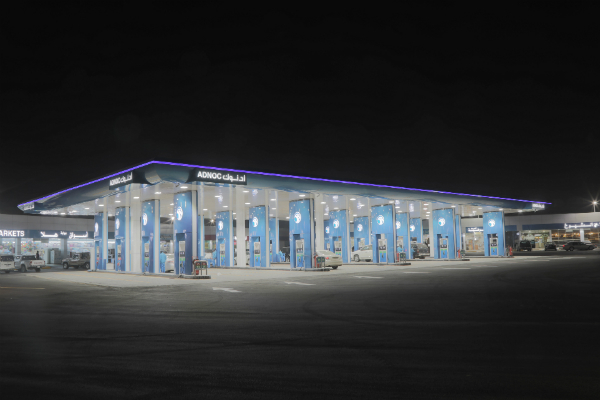 UAE fuel stations operator ADNOC Distribution has announced the opening of its first locations in Saudi Arabia. The company, which raised $851m in a 10 per cent listing last December, said the two stations opened this week after undergoing rebranding and reconstruction work. The first is located on the Riyadh-Dammam highway 40km from the cpiatal and the second in the city of Hofuf in Al Ahsa Governorate. “These initial two stations are significant in that they will enable us to interact directly with Saudi customers and, where necessary, tailor our services for this important market as we continue to look at options for growth,” said ADNOC Distribution acting CEO Saeed Al Rashdi. The fuel stations operator, which had operations in Abu Dhabi and some of the Northern Emirates prior to its listing, has sought to expand its footprint and service offering over the last year. It began charging for attendant refuelling at UAE stations over the last six months and has announced its intention to expand into Dubai. The company said on Thursday it was also “reviewing a number of potential options” to grow its international operations.